Tribute: The Man Who Linked Climate Change To Global Health : Goats and Soda Dr. Tony McMichael was a lonely crusader. He wanted governments to pay attention to ways that earth's changing climate will affect the health of all — with the poor likely to suffer the most. Tony McMichael has written more than 300 papers on how erratic weather and climate can cause health problems. He died in September. When I asked climate change expert Tony McMichael back in March how he thought the world would deal with climate change, he said, "It's likely to be an extraordinary century and we're going to have to have our wits about us to get through it." But the legions of scientists he inspired will have to go on without him. McMichael died in September in his native Australia from complications of pneumonia, leaving behind the fledgling field he founded — determining the health effects of climate change. As we look back on the people we lost in 2014, McMichael stands out as a pioneer and prophet. One of his prime motivators was a sense of social justice. Before going to medical school, McMichael spent a summer volunteering at a leper colony in India. Then he trained in Australia as a physician and epidemiologist. He made a name for himself early on by defining the effects of lead on children and establishing some of the basic rules of epidemiology. Then McMichael took on a bigger task — determining how the global environment affects human health. In 1993 he led the health team for the Intergovernmental Panel on Climate Change's second report. That same year, he published Planetary Overload: Global Environmental Change and the Health of the Human Species, the first scholarly look at the health effects of climate change. McMichael laid out the climate change challenge in moral terms: "While the rich countries have caused most of the increase in greenhouse gas emissions to date, the whole world will experience the consequences of climate change." And poor people, he noted, will be least able to adapt. Many of his 300-plus scientific papers describe how increasingly erratic weather and climate can cause health problems. It may seem obvious that heat waves, ice storms, droughts, floods, and disease-carrying insects expanding their habitat can all maim and kill. But before McMichael, few people thought about climate change in those terms. McMichael used basic epidemiology to predict an increase in these deaths. 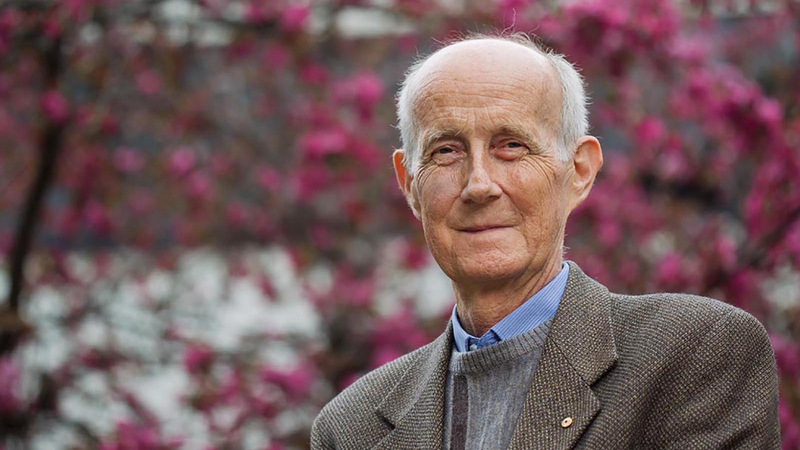 During his stints at the University of Adelaide, the London School of Hygiene and Tropical Medicine and the Australian National University, he trained fellow scientists to watch for early signs. For example, he co-authored a study showing that death patterns in Sydney, Australia, which has been hit by an unusual number of heat waves in the last couple of decades, are changing, so that there are more deaths in the summer than in the winter. And he's inspired research on the mental health effects of climate change. Already, epidemiologists are noticing higher rates of anxiety and depression among people in both drought-stricken and flooded areas. When I interviewed McMichael this year, I asked what focusing on a grim future all day every day does to a person. "I'm aware that my grandchildren may live in a very different and very unpleasant world," he told me. He worried that governments might not be able to survive the economic, social and political stresses brought on by a changing environment. He said what kept him going was the conviction that replacing airy handwaving with hard epidemiological science would galvanize leaders to make changes. But it was a long haul for him. Government funders just weren't interested. "It doesn't seem like real science to them," he said. The health effects of climate change are "big, unbounded, and complex. There aren't going to be any single bottom-line answers that come out of it." In McMichael's own country, Prime Minister Tony Abbott has called climate change science "crap." The month McMichael died, he was the first author on a plea to Abbot to put climate change and health onto the agenda of an upcoming G20 meeting. Abbott didn't — but other countries did. One of McMichael's last publications in a scientific journal was a request to health professionals to speak out about climate change. He noted that what he and others have predicted is now happening — more droughts, heat waves, floods, storms, fires and the like, leading to job loss, impoverishment, migration and conflict, which in turn make people more prone to illness, depression and premature death. He cited ideological rigidity and an anti-science ethos in his own Australia — his "land of droughts and flooding rains" (from a popular poem published in 1908), he wrote, has become a "land of doubts and fuddled brains." McMichael worried that the human health dimension of climate change has long been overlooked: "Concerns have focused on risks to tangibles 'out there' — coastlines, property damage, electricity costs, iconic species and ski slopes." All important, he said, but it's perhaps even more important to recognize that climate change threatens people's health, and that in turn threatens social stability all over the world. Joanne Silberner, a former health policy correspondent for NPR, is now a freelance journalist and also teaches journalism at the University of Washington.